I WASN'T PREPARED FOR JUST HOW SHORT HE WAS. I knew that Mickey Rooney was not a tall man; in heels, Judy Garland almost towered over him, and she didn't top five feet. 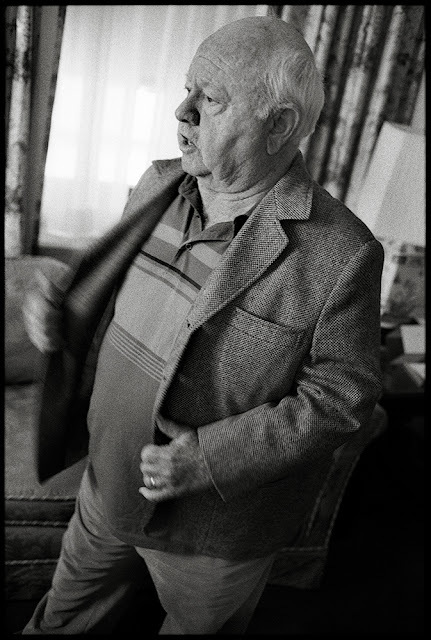 He was, to be sure, a little fella, and for as long as I was in his hotel room at the Royal York, I was trying to wrap my head around the undeniable fact that this tiny, anxious old man was the biggest movie star in the world several years running. Here's the thing: Dana Carvey used to do an incredible impersonation of Rooney, based on the time he spent working with him on a failed sitcom in the early '80s, and the whole gag would hang on Rooney's constant assertion that he was once "the biggest star ... in the world." I can attest that, for the two hours I spent with Rooney in that hotel suite in the fall of 1995, he actually said that, exactly that way, several times. Rooney was in town performing in a revival of Crazy For You at the Royal Alexandra Theatre, and the producers had put him up in the Royal York Hotel, another icon of old-school Toronto glamour. (To the extent that Toronto has, in the sense that we understand it, any glamour.) I was assigned to shoot him for the "What I Wear" fashion spread that was a regular feature at NOW magazine, a semi-regular gig that I did with Dierdre, the paper's fashion and art editor. I wouldn't call Rooney a fashion plate, but it didn't matter. 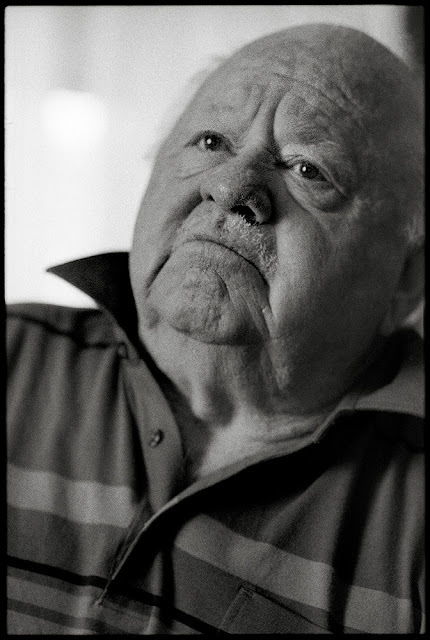 And since the whole point of the feature was having Mickey Rooney - Andy Hardy himself! - in the paper, I'd probably decided ahead of time to turn in a collage instead of a single full-length portrait. Languishing in the last flushed pink of print's economic health, NOW was still pretty loose in their layouts at the time, and the photo editor, Irene, actually encouraged us to experiment. Aching to do something more like a photo essay, I'd regularly turn in triptychs, or mosaics of small prints of varying sizes, focusing on details rather than a single portrait of the subject. 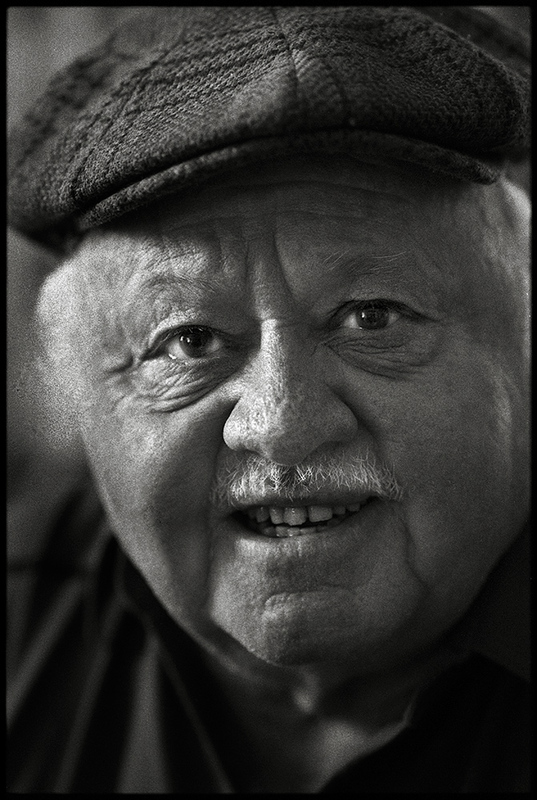 It was an outtake from this collage that sat in my 5x7 box for almost twenty years, the only proof I had of my afternoon with Mickey Rooney apart from the contact sheets and negatives that I only just excavated from behind the analog wall last week. I had wanted to kick off this blog with the Rooney pictures when he died earlier this year, but couldn't muster the energy to start digging behind the wall until just recently. At least I remembered that I'd done the shoot. It was, to be frank, a weirdly memorable shoot. As an honoured guest, Rooney had requested a big-screen TV for his room - back in the day when anything bigger than a 35" screen was a monstrous rear-projection unit the size of a small garden shed. The TV was on the whole two hours Dierdre and I were in the room, blaring out daytime soap operas, while Dierdre gently probed Mickey to talk about his wardrobe, which prompted him to launch into anecdotes from his time as the biggest star - hiss, pop - in the world. I wish I could say that I remembered those anecdotes - I'm sure there must have been something about Ava Gardner in there - but getting a decent shot of Rooney was like catching a hailstone in a pan of mercury, and I ended up taking two rolls that afternoon, many of the frames tight headshots as he parried Dierdre's questions with scraps of Hollywood lore that I'm sure he'd been sharing for years at that point. Mickey would answer a few questions, move to a different part of the room, put on and take off a hat or a blazer, and I'd squeeze off a few frames as he moved. As the afternoon wore on, the huge glowing TV in the other room providing a soundtrack of soaps, it occurred to me that Mickey really didn't want us to leave. He was once the biggest star in the world, and a man who'd blown through nearly $80 million dollars by the time his career cratered after the war. 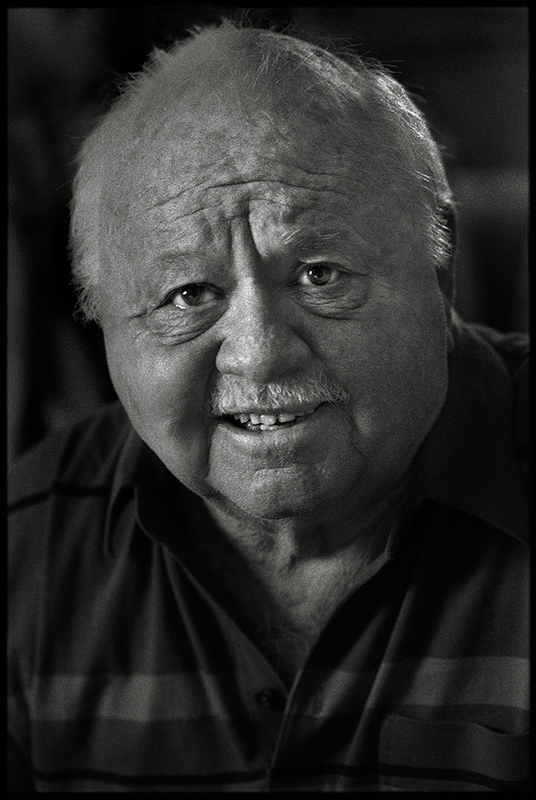 He'd been married eight times, made over 160 feature films and almost as many shorts, in a career that began in the silent era and saw him at his peak the prized player at the biggest studio in Hollywood. And he seemed to me terribly, terribly lonely. Rick McGinnis has been a professional photographer for over thirty years. PLEASE CLICK on the photos to see a larger version. IF YOU WANT TO BUY A PRINT OR USE A PHOTO, please contact me at rick - at - rickmcginnis - dot - com. Help me take more photos - donate thru PayPal. It's where all the kids are at, they tell me. Sacramental Perception: Everything is Holy, wholly. © 2018 Rick McGinnis, all rights reserved. Simple theme. Powered by Blogger.